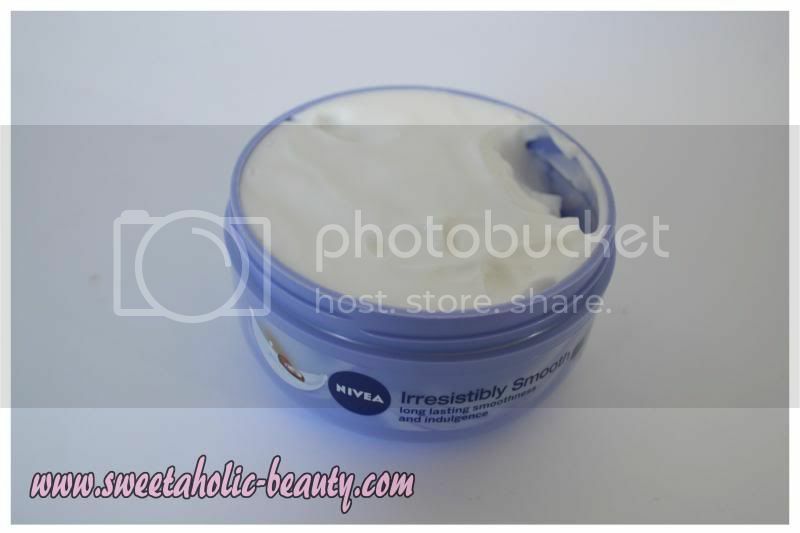 A little while ago, I was asked to review the new Nivea Irresistibly Smooth Body Souffle, and of course I was delighted to give it a go! I rarely use body lotions or creams these days as we have just come out of summer, and I haven't adjusted my skin regime back to the cold weather! 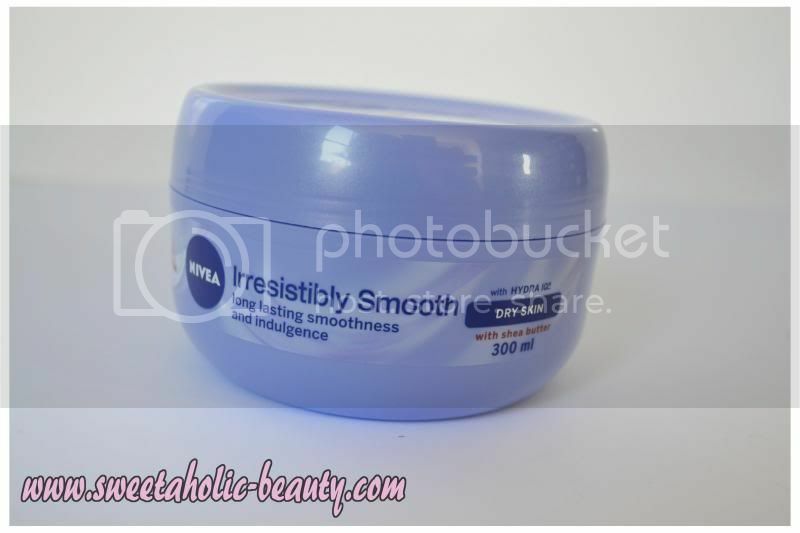 The Nivea Irresistibly Smooth Body Souffle is specially formulated for dryer skin. Nivea says that this light cream contains Hydra IQ technology, which apparently uniquely hydrates skin from within by stimulating the skin's own moisture networks. The Nivea Body Souffle also contains Shea butter, which we all know is a prime ingredient in keeping your skin soft and smooth! The Body Souffle itself is aptly named, as the formula of this particular body cream is lightly whipped, which makes it really easy to apply. The cream (or should I say, souffle) is extremely light, and absorbs into the skin very quickly, without leaving any greasy residue behind! The cream is so lightweight! A little goes a long way, but it's easy to use a lot for a more luxurious feel! I've been using this after my shower, as that's when my skin is at it's driest. Usually I wake up in the morning with super dry skin, but since using the Nivea Body Souffle, I've been waking up with super smooth skin, and I don't actually need to re-moisturise in the morning! 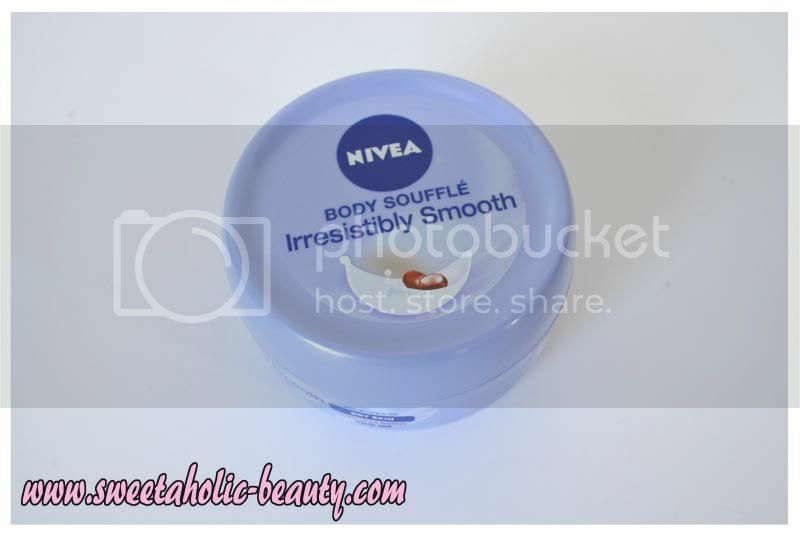 I have to say that since using the Nivea Irresistibly Smooth Body Souffle, my skin has never felt softer! I would definitely recommend purchasing, and will be repurchasing once this tub is over, as a 300ml tub will set you back a measly $9.95 - what a bargain! Have you tried the Nivea Irresistibly Smooth Body Souffle? If so, what did you think? I love the name "Body Souffle". It sounds really nice, I love light creams that aren't greasy. Can body lotions be used for the face? I'm always keen on trying light day creams. If not, I might still try it anyway, it sounds good! Me too! I love the idea of it! I'm not sure if they're really designed for your face, although I guess it depends on the lotion in question? Sounds good! I'll have to keep this in mind for when I've finished up my current creams! Anything with the word souffle in it has got my attention. This reminds me a little of a Dove product I love. I'm going to try this version now! i got some samples on the weekend and my skin is always dry. i never use any creams but i think im now addicted. this is brilliant. my hands and face is so soft and silky.